Yearning for a cheese that would be on the table quickly? Caerphilly cheese is the cheese that you are after. It has Welsh/English origins, and is a lightly pressed cheese that ripens in just 3 weeks. Caerphilly cheese is a hard, white cheese that originates in the area around the town of Caerphilly in Wales, although it is now also made in England, particularly in the South West and on the English border with Wales. It was not originally made in Caerphilly, but was sold at the market there, hence taking the town’s name. It is rumoured that the cheese was developed over time to provide the coal miners of the area with a convenient way of replenishing the salt lost through hard work over ten-hour shifts underground and so was a staple of the diet of the coal miners. So here is my method for making it. I used the recipe out of Making Artisan Cheese by Tim Smith and modified it a little. Heat milk to 32°C user double boiler (I use a smaller saucepan under the large pot). Add the calcium chloride if you are using homogenised milk. Stir for a minute. Then add the starter culture and stir for another minute. Cover and let rest for thirty minutes at target temperature. Maintaining the temp of 32°C (90°F), add the rennet to the milk, stir for two minutes, then cover. Let mixture sit for forty minutes at the target temperature, or until you get a clean break. Cut the curds into 6mm (¼ inch) cubes, keeping the size as uniform as possible. Slowly raise the temp to 33°C (92°F); this should take about ten minutes. Hold the curd at the target temp for forty minutes and be sure to stir frequently to keep the curds from matting. Let rest at target temp for five minutes. Drain the curds into a cheesecloth lined colander, and let whey drain for a 5 minutes. Cut the curds into 2.5 cm (1 inch) thick slabs, and stack on top of one another. Turn the stack over, top to bottom, two times in ten minutes. This will assist in draining a lot of whey from the curd. Using your clean hands, break the curds into thumbnail-sized pieces, and blend with salt. Fill a cheesecloth-lined 1kg cheese mould with the salted curds. 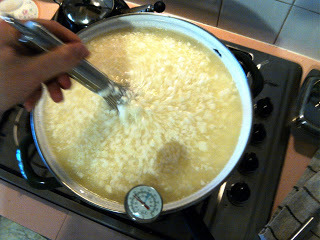 Cover the curd with one corner of the cheese cloth, lay the follower on top, and press at 5kg (10 pounds) for ten minutes. Remove the cheese from the press, take it out of the mould, and unwrap the cheesecloth. Turn the cheese, and rub a layer of salt on both top and bottom before rewrapping with cheese cloth. Press at 5kg (10 pounds) for ten minutes. Repeat the same procedure (salt), pressing at 7.5 kg (15 pounds) for twenty minutes. Repeat the same procedure, pressing at 7.5 kg (15 pounds) for sixteen hours. I finished this stage at 6 pm on Saturday evening, so I had to wait until 10 am Sunday morning for the next part. 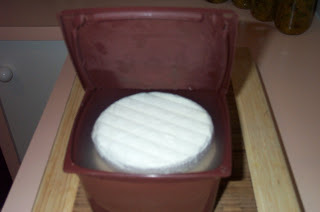 Take the cheese out of the cheese mould, and let it air dry on a cheese mat and cheese board for about 3-4 days. Make sure you turn the cheese several times a day to ensure even drying and fat distribution. When the cheese is dry to touch, it is ready to be ripened. Place in your cheese cave at 13ºC (55ºF) at 80-85% humidity for three weeks, turning several times a week. No need to wax this cheese. 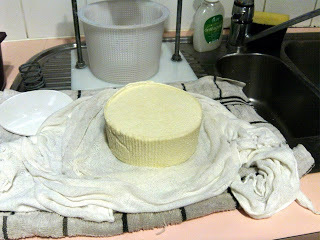 It will form a rind, and if any mould develops, simply rub the cheese with cloth dipped in some brine. The salt in this cheese retards mould growth anyway. At this time of the year in Australia, you could find a cold cupboard to ripen your cheese in if you don’t have a fridge that you can get warm enough. This cheese has been profiled on Cheesemaking Help, which is the blog of Ricki Carroll’s New England Cheesemaking Co. I was very pleased when they asked my permission to repost my recipe! I have been making this cheese every two months for the past two years, and it never fails to please family and friends. Any easy, quick, and tasty cheese to make at home. This well-known Italian cheese is one of my favourites and I have made it about 8 times, with each wheel being a success. In fact, I try to make one about every 3 months to keep up with the constant supply necessary for our appetite for this strong, flavoursome cheese. Parmesan cheese. Parmesan cheese is really called Parmigiano Reggiano, named after the two regions in Italy where it is made. It is one of the world’s most famous grating cheeses. Normal sized wheels of Parmigiano Reggiano weigh about 46 kg each, but this recipe is modified to make about 1 kg of this delicious cheese. It certainly beats the crappy, smelly, powered cheese you can buy in those green containers! Everyone in my family gives it a massive two thumbs up, and we eat it shaved or grated on many types of pasta dishes. I have made a video tutorial for this cheese in two parts, so to get a feel for how I made it, sit back, relax and enjoy the show. 4 litres lite or semi skimmed milk, no more than 1.4% fat. As usual I set up all the utensils and ingredients before I begin, then I sterilise everything in water in the 8 litre pot for 15 minutes. People are often surprised to discover that it is made with low-fat milk (no more than 2.5% fat), because it has such an intense flavour. Once sterilised, I put the big pot on a small saucepan of water to act as a double boiler. Add the milk and alternate a litre of each type to so that it mixes well, and then bring the temperature up to 35°C. Once at temperature, add the Thermophilic culture and mix well. Cover and allow to sit for 15 minutes. Add the Calcium Chloride and mix well. Then add the Lipase mixture and stir for a minute. Keeping the mixture at 35°C, add the Rennet mix and stir for at least 1 minute. Remove from heat. Cover and allow to set for 45 minutes. Increase the temperature to 42°C over half an hour and hold this temperature for 15 minutes continuously stirring with the whisk to prevent matting. You will notice that the curd will start to shrink into smaller grain sized pieces. Drain the curds and whey into a cheese cloth lined colander. Be careful as the whey is quite hot. Gather up the cheesecloth and form a ball of curd big enough to fit into your 900 gm mold. 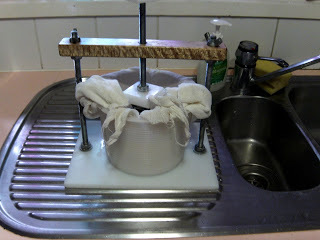 Cover one of the corners of the curd with the cheese cloth and top with the follower then press at 2.5 kg for 15 minutes. Remove the cheese from the press, and slowly unwrap the cloth. Turn the cheese over, rewrap it in the cloth, and press at 5 kg for 30 minutes. Repeat this procedure, press at 7.5 kg for 2 hours. Repeat again, pressing at 10 kg for 12 hours. Remove the cheese from the mould and unwrap. Immerse the cheese in the brine solution. I use a 2 litre ice-cream container, add the cheese first then pour over the brine. The brine should be at room temperature and not hot or the cheese will begin to break up and absorb too much salt. Leave it at room temperature (21°C) for 24 hours, and flip the cheese occasionally. Take the cheese out of the brine solution and pat it dry with paper towel. Here is your chance to smooth the cheese with your hands if there are any rough bits. Then place on a sushi mat and put it into the cheese cave at 13°C/80% humidity for 10 months. Turn the cheese daily for the first week, then weekly after that. Remove any mould that forms on the exterior with some leftover brine and a bit of cheese cloth. This also helps to harden the cheese as it ages. I usually wax this cheese at about the three-week mark, because otherwise, even if rubbed with olive oil the wheel is just too small to hold the required amount of moisture and it will dry out. The first wheel of Parmesan made in May 2009 turned out very well and had that sharp flavour that Grana cheeses are well-known for. The trademark texture and flavour of this cheese is obtained through the lengthy maturation process which results in a cheese with a hard, gritty texture. I guarantee that this cheese is well worth the wait. So where do I mainly get my cheese recipes from? Well I have two (actually three) wonderful cheese books that I utilised equally as much. It’s time for a cheese book review! 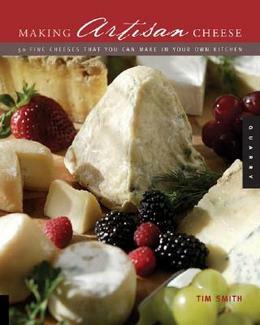 Home Cheese Making – Recipes for 75 Homemade Cheeses. The first thing that struck me about this book was that there were no photos in the entire book. All the pictures are illustrations which are quite well done, but not the same as seeing a photo of the cheese the recipe is describing. The only real problem with this book is that all the measurements are in Imperial with no metric equivalent in the recipes. There is not even an Imperial/Metric conversion table as is present in most cookbooks. That struck me as very odd in this modern-day and age and obviously geared towards US audiences. With this book being the 3rd edition, you would think that they would have corrected this oversight to appeal to an international audience. I have converted each recipe myself and add the metric measurements, weights and temperatures in pencil. Not an easy job, and one that the reader should not have to do.Other than these two issues the book is well written for the novice, starting with the history of cheese, what all of the ingredients are, and equipment you might need. Then the author describes the process of cheese making with illustrations which was a good guide to help you understand what you are in for. There is even a section on how to smoke a cheese with a kettle BBQ. The recipes are divided up into sections which start at Soft Cheeses for the novice, and then Hard, Italian, Whey, Bacteria and Mould-Ripened, Goat’s-Milk Cheeses, all which have ample instructions and are simple to follow. I do like the occasional page dedicated to ‘A Cheese Makers Story’ in which the author has interviewed many prize-winning cheese makers throughout the U.S.A.
To finish off this book, the author chose to include 47 pages about serving, enjoying and cooking with cheese. Some of the inclusions are how to cut different cheese, a little bit about what wine to serve it with and then pages and pages of recipes. These recipes cover off how to include your home-made cheese into simple, yet delicious fare. They even mention a few ways to utilise the whey into some of the dishes. I have often wondered what to do with the whey besides making more Ricotta! Overall, a very good book which would certainly whet your appetite and put you onto the right path for creating your own wonderful and tasty cheese. You just won’t know what they are supposed to look like! This book is truly a delight to read. With lots of colour photos to tantalize the taste buds, my first impression was that this book was going to be a great tool in my cheese making journey. I am a firm believer that if you are just starting out in something, you will more than often need a picture to compare to your finished product. Maybe it is just the way I learn, I am a visual kind of guy. The book is divided into three main parts, Part 1 – How Tradition Influences Modern Cheese, in which the author give a brief history of cheesemaking and cheese-making basics. I found these the two chapters in this part very informative, even for an intermediate cheese maker like myself. 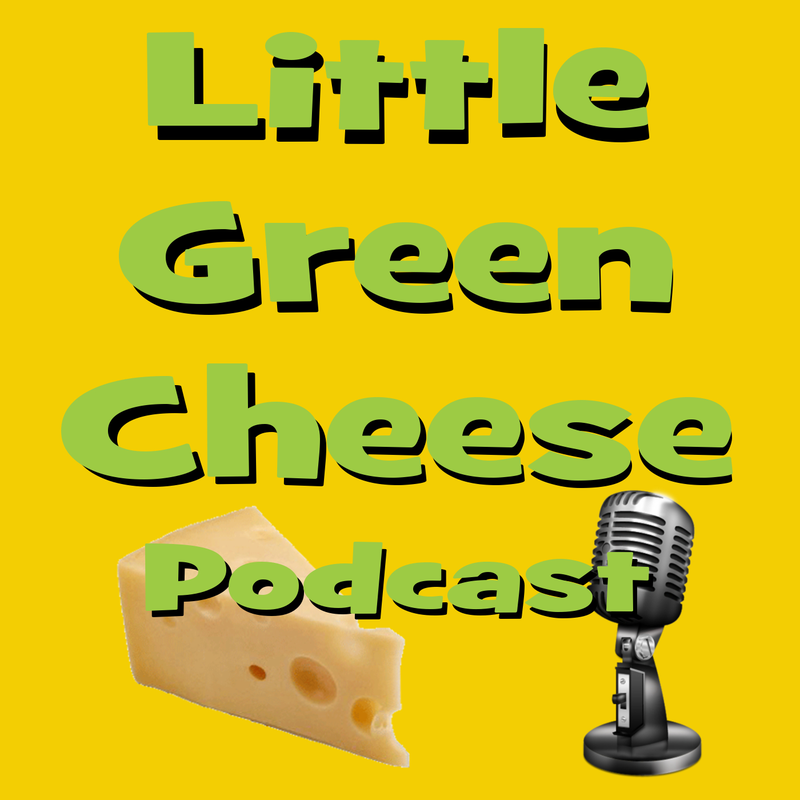 Part 2 is titled ‘Making Cheese’ and covers of how to make Basic (Fresh & Soft), Intermediate (Intermediate, Washed-Curd, Cooked, Pasta Filata, and Whey), Advanced Cheese-Making (Mold & Bacteria-Ripened), and Butter & Ghee making. The good feature about each chapter is that it describes the techniques for each level and the equipment needed. I found this a good addition, because if you only want to make basic cheeses you don’t have to wade through a myriad of equipment types to figure out what you need. Each recipe have both Imperial and Metric conversions and the majority have a colour photo of what the final cheese should look like. I really liked both of these features, as it helps add to the experience and you can make an informed decision about each type of cheese before you take the next step and actually make it. For me, it was the photograph of the Pepper Jack that enticed me to give that recipe a go. Part 3 – Beyond Cheese Making gives you tips on how to serve your cheese to bring out its full potential. It has a detailed advice on how to best present your cheeseboard, what wines go with which cheese, and something I really liked was which beer paired the best with each type of cheese. I also liked the ‘Artisan Advice’ that featured in the sidebar of some recipes, and additional tips on how to add herbs to various types of cheese. For instance, the addition of green peppercorns to Pyrenees, or cumin or mustard seed to Gouda. All of these variations actually take the number of cheese recipes to 55, which is a bit of a bonus for the reader. I would highly recommend this book to novice and advanced cheese maker alike. It is well written, simple to follow, and has more than enough information to get you motivated to run down the store and buy 10 litres of milk and make your first wheel of cheese! Now just to see if there were any variance in each book, I compared the Monterey Jack recipes. Both are identical in ingredients and method until you get the pressing section. Also, one book recommends 1-4 months maturation, the other 1-3 months. Similarly, one book stated the method would yield 2 pounds (900gm) and the other 1 pound. When I made this cheese, it yielded 878gm, so both were wrong. I suppose it all depends on how much whey remains in the finished cheese. I hope you have enjoyed this cheese book review as much I have in writing them. Both book are informative and well written, but if I saw them both in the same bookstore, I would only purchase Making Artisan Cheese if I was strapped for cash. Unfortunately, the title is misleading and suggest some form of experience is necessary to use it, and maybe it is the reason why the other book is so popular. Update: After being frustrated by both of the books for various reasons over many few years, I decided to author my own cheese making book. I have had excellent feedback for it and it has sold over 1000 copies (as at January 2015). 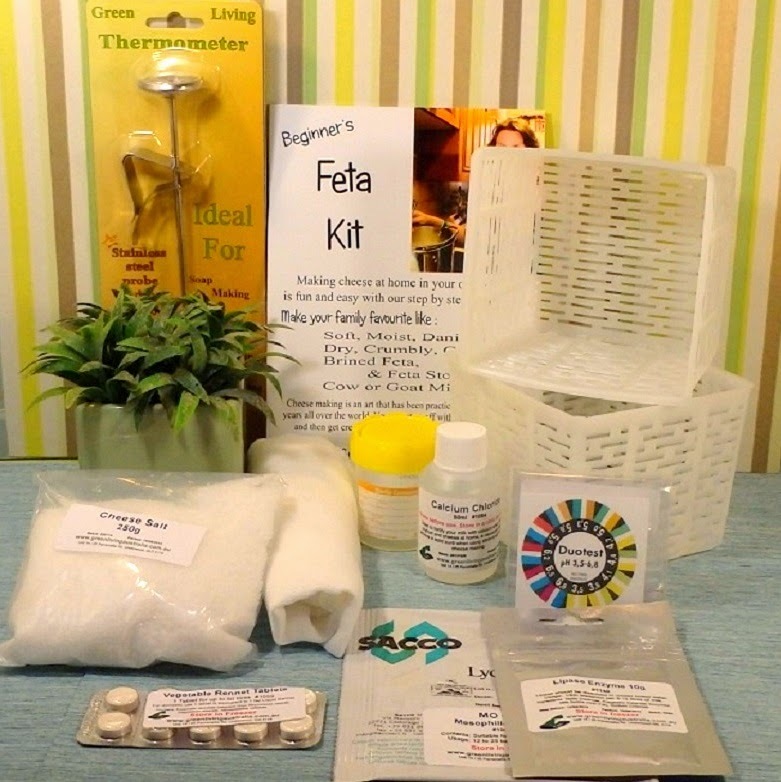 Have you ever wanted to make real cheese at home, but didn’t know where or how to start? Well look no further, as this book makes it easy for the beginner to jump right in and make cheese. Keep Calm and Make Cheese steps you through the process of home cheese making with 27 tried and tested recipes for the budding home cheese maker to follow and create. With over 60 pictures, detailed instructions, and resource links to the Author’s extensive cheese making video tutorial series and cheese making podcast, the whole process becomes much easier to achieve success than you would by reading a normal cheese making book. After reading this book you too will be able to “Keep Calm and Make Cheese”, in your very own home. This second edition contains three new recipes, four new video tutorials, and a resource section. You can purchase this eBook in our ebookstore, or if you live in Australia, you can purchase a booklet version at Little Green Workshops. 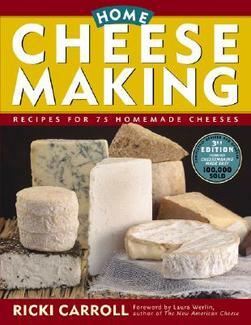 You can also purchase all these cheese making books at Little Green Workshops.